Nat Fantastic - aka miniature superhero - is back! And this time he's taking on the knights... and winning! 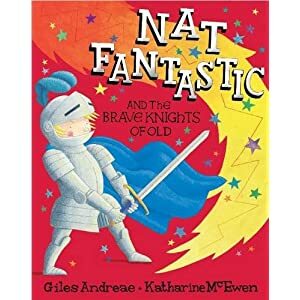 Nat Fantastic from bestselling author Giles Andreae. 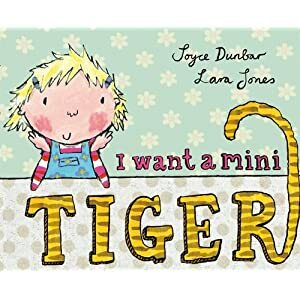 This little girl wants her very own miniature wild animal. Anything from a little snappy happy crocodile or a tiny trundle rumble elephant, to a pocket-sized grizzly bear. But as her big brother explains, a real wild animal would make a terrible pet. You can't nuzzle a crocodile, or tickle a wild elephant, and a grizzly bear belongs in a cave not a pocket! But there's one pet, a tiny pet, that loves to be tickled and cuddled. It's like a tiger, only much smaller . A delightfully rhythmic tale, bursting with imagination, and a playful introduction to a world of wild animals. 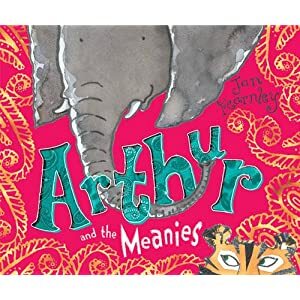 Jan Fearnley - Arthur and the Meanies - Published by Egmont 5 July 2010 How do you play with an elephant? Well, if you're Tiger, Cheetah, Monkey and Peacock, you don't. Tiger growls that Arthur is too heavy for hopping, and Cheetah is very unkind when Arthur asks to hold the string on his beautiful new kite. But when it starts to rain, suddenly everybody wants to be Arthur's friend - as long as he will do as he's told and shelter them from the storm. This is a beautifully crafted picture book that is complete with a gentle and satisfying moral. I haven't heard of any of these picture books so thanks for the post! I will check them out!